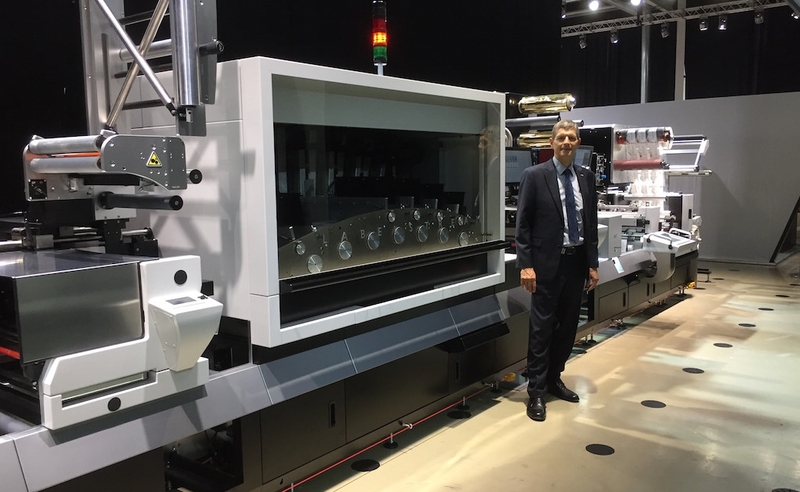 June 12TH, 2018 – FFEI Ltd, the global developer of award-winning digital imaging solutions, demonstrated that they had the digital imaging, inkjet expertise and integration capabilities required for Oce to bring the innovative LabelStream 4000 label press to market in a very short timeframe. The industrial grade digital UV inkjet label press with optional flexo printing, embellishment and finishing units, takes hybrid to a new level. With an industry-leading productivity range of 950 – 1672 sqm/h, extensive customizing abilities and centralised control, label converters can add value to label printing in a variety of ways. From the initial launch of Oce’s first inkjet solution their portfolio has grown to include products such as JetStream and ProStream. They saw an opportunity to carry across their unique package of Innovative technologies integrated into comprehensive end-to-end solutions and supported by first-class global service and business consultancy to the growing labels & packaging market. To do so they wanted a knowledgeable partner to expedite their entry into the sector. A superior digital inkjet capability that matched or exceeds the demands of the market was critical. And in addition to presenting new levels of automation and centralised control to press operators, they wanted to further increase margins through improved productivity. Having launched one of the first inkjet presses in 2010 and the Graphium hybrid solution in 2013, FFEI were a natural choice to partner with. 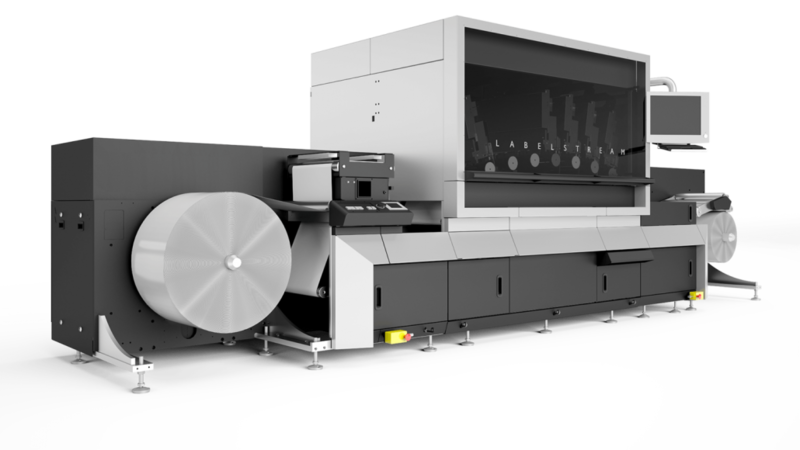 The Océ LabelStream 4000 has been developed in collaboration with FFEI, Xaar and Edale. FFEI have worked with Edale on projects dating back to 2012 and undertaken research an integration programs with Xaar from 2005. With these extensive expertise FFEI where the best placed integration partner to enable the full advantage of Xaar’s 2001+ printhead technology and latest advances in the Edale flexo printing technology to be taken. “With over 70 years invested in digital imaging technologies we have enabled many leading OEM partners to take bring to market advanced and market changing innovations.” Said Andy Cook. “We pride ourselves on being viewed as an extension to our partners R&D capabilities. We reinforce their expertise and increase their breadth of knowledge. It is through such a relationship that innovative, high quality solutions can be brought to market quickly and reflect the unique requirements of our clients’ market.